As the number of IoT devices with limited resources and the corresponding observed data grow exponentially, the method of offloading all tasks to a remote data center becomes expensive, even inefficient. How to optimize the energy consumption of application requests from IoT devices satisfying the deadline constraint is also a challenge. Fog computing is closer to users, featuring the lower service delay but less resource than the remote cloud. Fog does not mean to replace cloud. They are complementary to each other, and cooperation between them is worth studying. 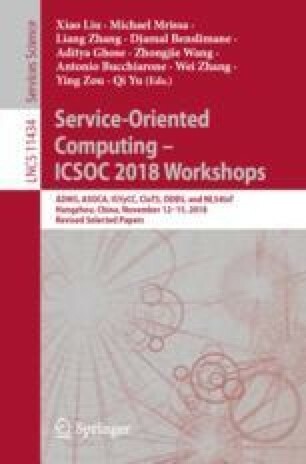 The main points of this paper are: (1) Proposing a general IoT-fog-cloud computing architecture that fully exploits the advantages of fog and cloud. (2) Formulating the energy efficient computation offloading and dynamic resource scheduling (eoDS) problem, then proposing an eoDS algorithm to solve the problem, reducing the energy consumption and completion time of application requests (3) Compared with cloud nodes, the mobility of fog nodes is higher. For this, we propose the fog functional areas reconstruction method to adaptively deal with the changing environment, improving the resource utilization of fog. This work is partially supported by the NSF of China under grants No. 61772200, 61602175 and 61702334, Shanghai Pujiang Talent Program under grants No. 17PJ1401900. Shanghai Municipal Natural Science Foundation under Grants No. 17ZR1406900 and 17ZR1429700. Educational Research Fund of ECUST under Grant No. ZH1726108. The Collaborative Innovation Foundation of Shanghai Institute of Technology under Grants No. XTCX2016-20.